We can try our luck 365 days a year because every month, every week, and every day there is a special lottery draw around the world waiting for the lucky numbers of some participant. Any method or system is good if you faithfully believe in it. Winning a great lottery prize is the dream that we all dream of. This phrase is attributed to the actor Paul Newman, but surely many would subscribe. Numbers are part of our life. Some people try to find lucky numbers with the arithmetic of a date, an anniversary, a birth or any event that evokes a pleasant memory. For example, adding and subtracting the digits of a specific date, to get at the end a number, which we could call the personal number or destiny’s number. Each personal number or destiny’s number has a meaning that can help to know the character of each player and their life circumstances, the lucky numbers and the most favorable days of each month. To find our special number, we must look at the date of our birth. Taking as an example a date of birth such as November 27, 1969 (11-27-1969), one should act as follows: 2 + 7 + 1 + 1 + 1 + 9 + 6 + 9 = 36 and then 3 + 6 = 9 . Therefore, the personal number will be 9. In short, we must add each of the numbers that make up our date of birth to reduce it to a single digit. Usually they are dominant, powerful, but at the same time introverted, they have a hard time showing their feelings, although they would like to dominate the world. They know how to adapt easily to the most adverse circumstances and they love money as a form of power. Your lucky numbers are: 1, 3, 9, 10, 19, 28, 37, 46, 55, 64, 73, 82, and 91. The best days of the month: 1, 10, 19 and 28. They are very familiar people, they love home, society and are the representation of the couple. They are cordial and romantic, although sometimes they may suffer from conformism or weakness. Your lucky numbers are: 2, 7, 9, 11, 29, 38, 47, 56, 65, 74, 83, and 92. The best days of the month are: 2, 11, 20 and 29. They are analytical and tenacious until they can achieve their goals. They love to take care of their image and fall sympathetic, which sometimes leads their ego to be unfaithful. They always look for novelty and improvement. Your lucky numbers are: 3, 5, 8, 12, 21, 39, 48, 57, 66, 75, 84, and 93. The best days of the month: 3, 12, 21 and 30. Obstinate and tenacious, they represent the will. They tend to attach great importance to any circumstance, however minimal, and find it difficult to recognize their mistakes. They are usually responsible, what leads them, to be brave and intelligent. In summary, they are honest and sincere. Your lucky numbers are: 4, 6, 8, 13, 22, 31, 40, 49, 58, 67, 76, 85 and 94. The best days of the month: the 4, 13, 22 and 31. Curious and restless, they love to learn from every situation in life. More spiritual than material, which indicates that if they have money they do not know how to manage it well and they tend to be wasteful, although they are intelligent and tend to empathize easily due to their great sensitivity. Your lucky numbers are: 2, 5, 7, 14, 23, 32, 41, 50, 59, 68, 77, 86 and 95. The best days of the month: 5, 14 and 23. They represent serenity, they are excellent communicators, although internally silent about themselves. They are trusting, correct and faithful, although deception and lies disappoint them greatly, which makes them both weak and given to fatality. Your lucky numbers are: 3, 6, 8, 15, 24, 33, 42, 51, 60, 69, 78, 87 and 96. The best days of the month: 6, 15 and 25. Symbol of containment, good people, protective, reflective and that adapt well to everything. On the one hand, they are strong people who can not stand the weak, and on the other hand, they are stubborn and somewhat vague, and sometimes lacking initiative. Your lucky numbers are: 5, 7, 11, 16, 25, 34, 43, 52, 61, 70, 79, 88 and 97. The best days of the month: 16 and 25. Sensitive and they are easily impressed, constantly complaining about everything and becoming the victim on many occasions. But they are cordial and careful, retailers. They are good speakers and they love communication. Your lucky numbers are: 6, 8, 11, 17, 26, 35, 44, 53, 62, 71, 80, 89 and 98. The best days of the month: 8, 17 and 26. Independent in themselves, they hate to depend on something or someone. Pessimists and optimists 50%, they hate the lie so they do not allow betrayal. Passionate, arrogant, sometimes impulsive, somewhat cowardly. Your lucky numbers are: 4, 7, 9, 18, 27, 36, 45, 54, 63, 72, 81, 90 and 99. The best days of the month:,9, 18 and 27. 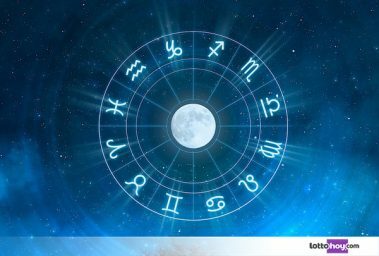 Other People, prefer to rely on their horoscope, on those lucky numbers that are associated with a certain sign of the zodiac. It is also important to contemplate your personal number or destination number, which is calculated as we have indicated above in numbers with arithmetic luck. When the personal number or number of the destination coincides with some of the numbers that show us the number of the luck in the horoscope, this makes rebound more strongly on that number. A winning sure number. “El ram”. Those born between March 21 and April 19 belong to this fire sign. Usually have a position of leadership and innovation. With their continuous challenges, they pretend to demonstrate their independence, their energy and even how brave they are. Passionate about life, they love competition and excel above others, although sometimes that impetus leads to taking unnecessary risks. “The bull“.They are born between April 20 and May 20, as a sign of land, are tenacious bordering on stubbornness, but always persevering. They usually involve others so that they achieve goals together, especially in the field of management and finance, where they feel comfortable and always seek what can provide a luxurious lifestyle. “Ltwins”. All ofare part of thiselement airthose born between May 21 and June 20. Creatives and communicators, grow with their intuition, but they hate to be able to doubt them. Easily they work together, although not always wantlead, even if a primary site because they are excellent coordinators to maintain maximum interest tverythingworking. When they play lotteries, their lucky numbers are usually 4, 5, 7, 9, 13, 17, 22, 29, 34 and 44. Their lucky day is Wednesday. “The crab”. Usually the natives of this water sign, live between the dates of June 21 to July 22, are very ambitious, always willing to learn. They are happy that their opinions are taken into account, and therefore can become selfish and very demanding. They work quickly and often apply this criterion to those who work with them. When they play lotteries, their lucky numbers are usually 4, 6, 8, 13, 15, 21, 26, 40 and 45. Their lucky day is Monday. “The lion.” Sign of fire rules the lives of those born between July 23 and August 22. I read them, they seem to have been born to organize and lead, but in case of not leading, they strengthen the image of the leaders by making them respect them. They like to manage their time in order to reach everywhere, they need to feel valuable and they tend to be generous in general. When they play lotteries, their lucky numbers are usually 1, 3, 9, 10, 13, 15, 23, 29, 34, and 47. Their lucky day is Sunday. “Maiden”. From August 23 to September 22, I’m still air. The natives of this sign are ordered, methodical and usually act with precision. That obstinacy for the precise avoids usually making mistakes, but in case that it should happen, they are the first to correct it. It is not strange to find within this sign great characters oriented to take care of the health of others. When they play lotteries, their lucky numbers are usually 2, 10, 12, 15, 25, 26, 27, 39 and 41. Their lucky day is Wednesday. “The balance”.A sign of the air element, which covers the dates between September 23 and October 22. Those born in this sign, are usually people who tend to mediate, advise and advise others, especially the most unfortunate. He likes to be part of a team, do not crave material gains to swell his ego. His need is to surpass himself based on having more knowledge. When they play lotteries, their lucky numbers are usually 2, 6, 8, 15, 16, 19, 21, 27, 34 and 45. Their lucky day is Wednesday. “The Scorpion”.Between the 23 of October and the 21 of November, they move these born under the sign of the scorpion, an element of water. They tend to be great researchers in various fields, they love to show the reality of things in a way that they may come to despise an opportunity if they do not feel comfortable. They settle for being seconds and being happy. When they play lotteries, their lucky numbers are usually 4, 7, 13, 15, 16, 20, 21, 29, 39 and 43. Their lucky day is Tuesday. “The archer”.Sign of fire, those born between November 22 and December 21, are people who usually tend to aim high in their personal and professional expectations. They are optimistic and enthusiastic, but that obstinacy at the top can end up representing a big problem for perhaps raising too much their objectives, which can make them move away from other factors of life to focus exclusively on their work. When they play lotteries, their lucky numbers are usually 3, 8, 9, 1, 16, 25, 29, 38 and 48. Their lucky day is Thursday. “The goat”. An earth sign between the dates of December 22 to January 19. The capricorn, are by their nature very respected in their work, and this can sometimes make people envious in their way. They usually work as a team and advise those around them. Providing that they can improve the lives of others, even if they can not change the world. When they play lotteries, their lucky numbers are usually 3, 5, 6, 8, 16, 19, 20, 27, 35, 43. The lucky day for them is Saturday. “the Aquarius”. Those born between January 20 and February 18 are covered by the air element. They are observers with philosophical and visionary tendencies. The ambition of great profits does not move them, but they do not rule out any stroke of luck that can make life easier for them and those around them. When they play lotteries, their lucky numbers are usually 5, 7, 14, 18, 20, 23, 27, 32 and 49. Their lucky day is Tuesday. “The fishes”. Water sign, how could it be otherwise. Those born between February 19 and March 20, are creative and innovative, able to be fully up to date on all issues. They love the challenges in which they can prove their worth, pursue their dreams by spending as much time as possible to get them. When they play lotteries, their lucky numbers are usually 3, 5, 11, 19, 24, 29, 35, 46. Their lucky day is Thursday.